Whether you're at a picnic for the day or away on vacation, you don't want to worry about keeping your house safe from burglars. 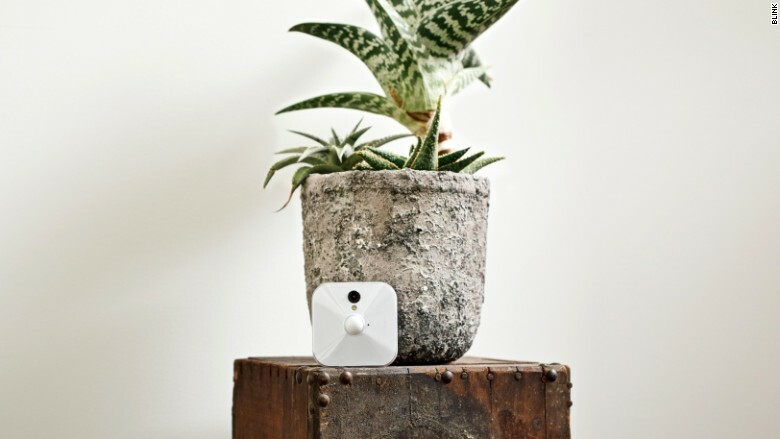 There are plenty of WiFi-connected home security cameras that let you watch your home on a smartphone, but the $99 Blink Indoors camera is one of the cheaper options. It has motion detection and push alerts, so you'll know right away if someone's lurking around. It only has a one-way mic, so you can hear what's happening in your home but not yell at a dog to get off the sofa (a popular feature with Nest camera owners).